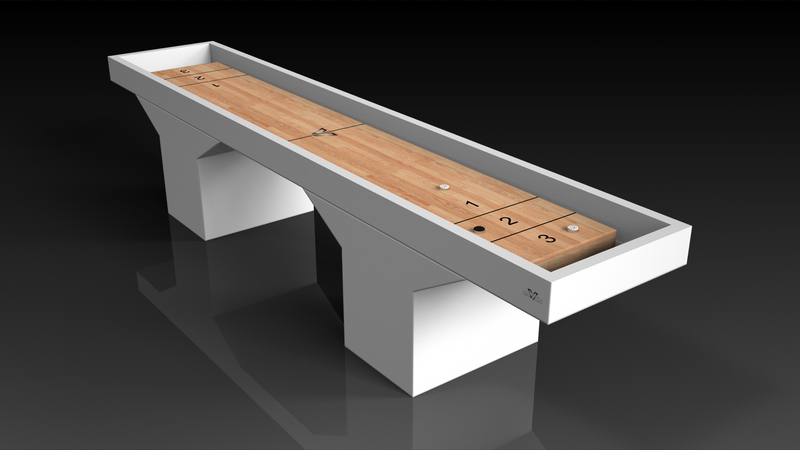 Minimalist design meets opulent elegance in the Trestle pool table in white. Detailed with a felt surface for endless game play, this contemporary table is expertly crafted from oil-stained maple wood in a smooth, white finish. 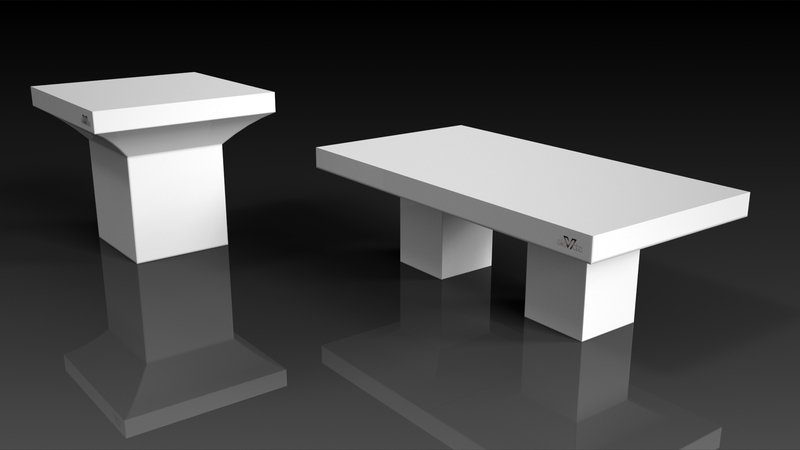 Square block legs give it a stark, geometric look that contributes to its timeless appeal. 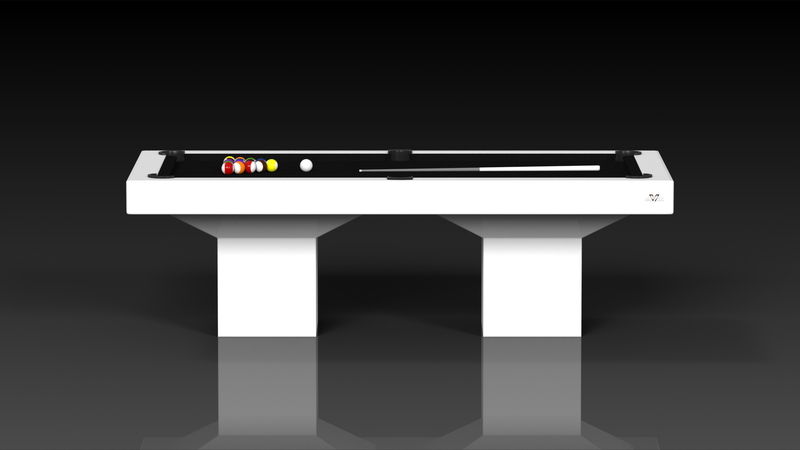 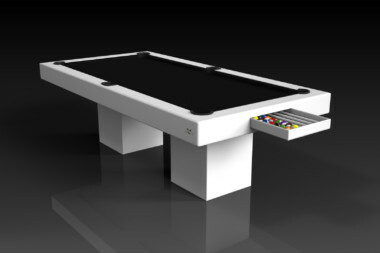 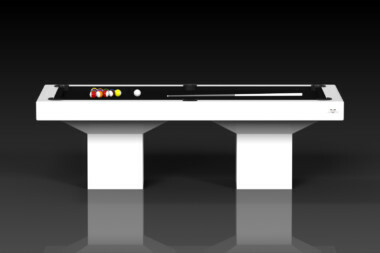 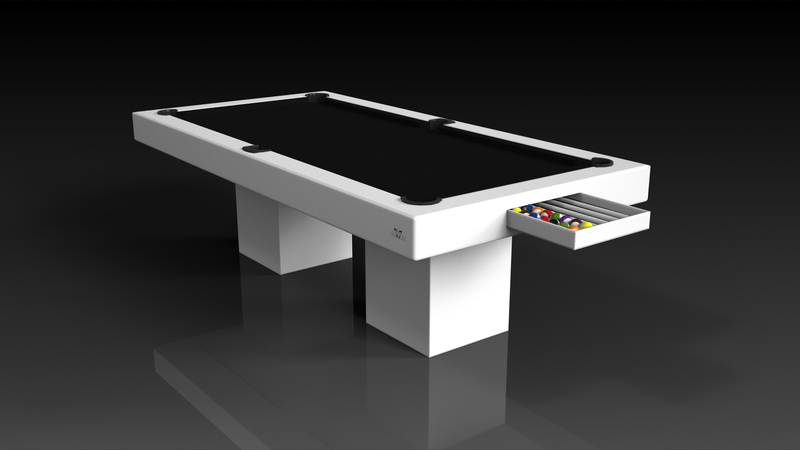 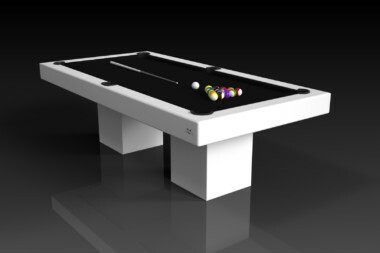 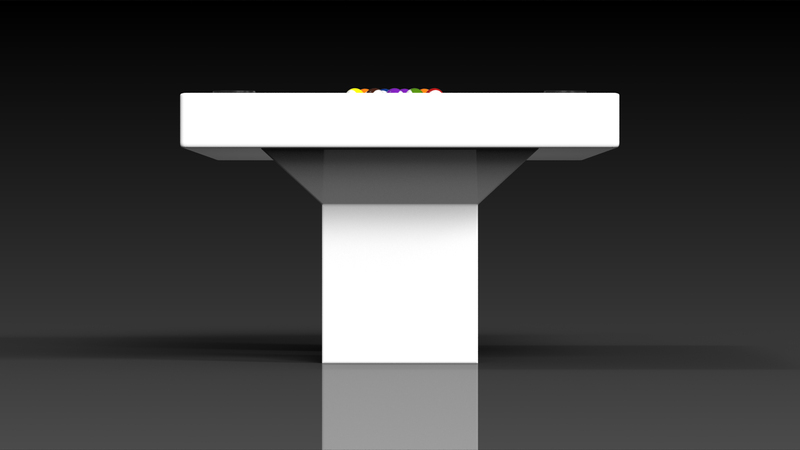 The Trestle pool table can be customized in your choice of bespoke sizes, colors, and finishes. 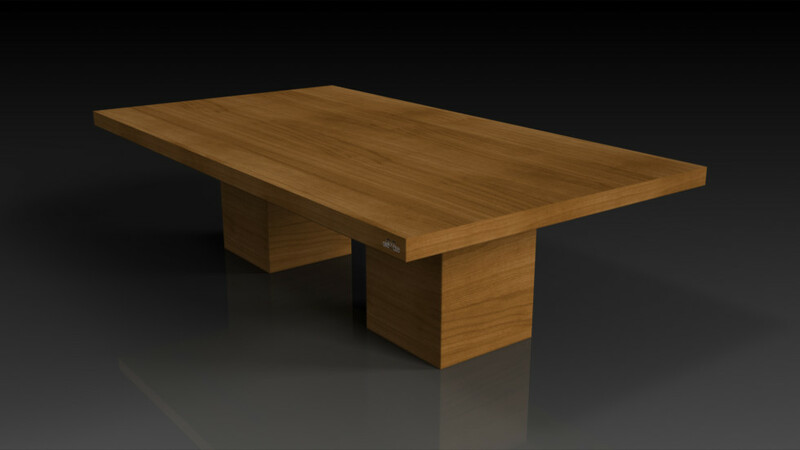 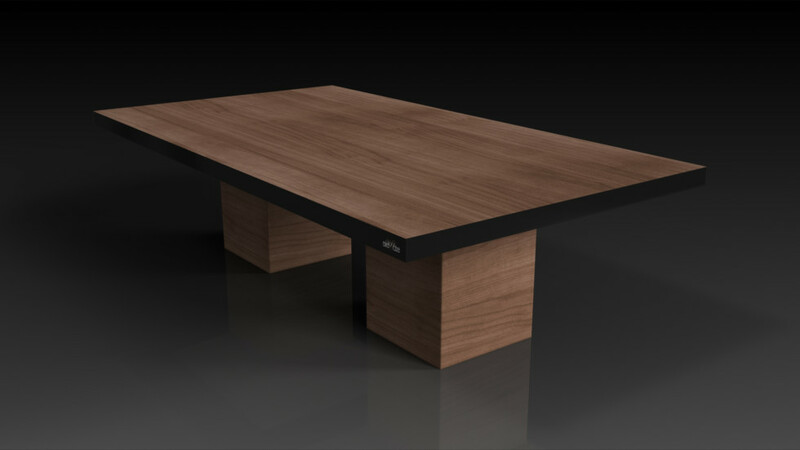 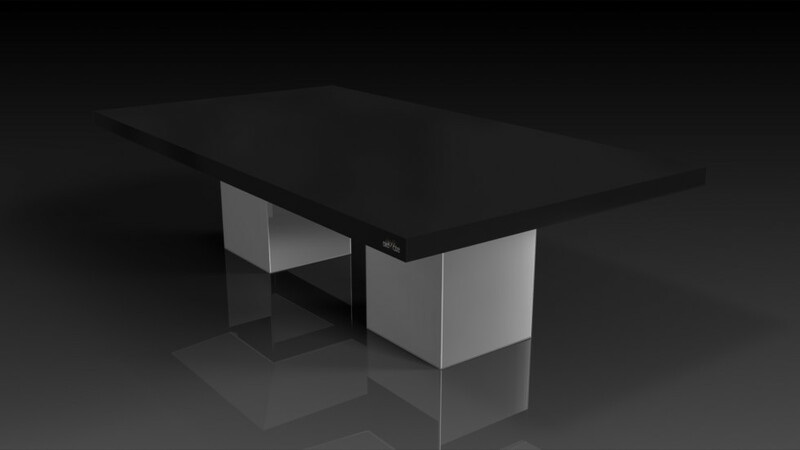 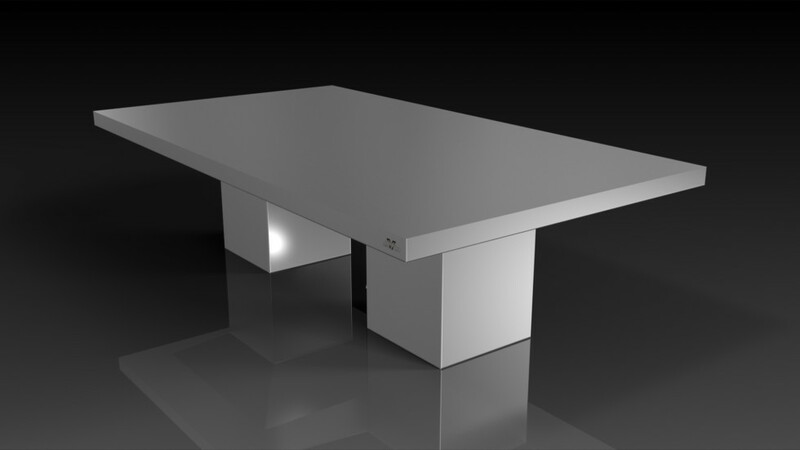 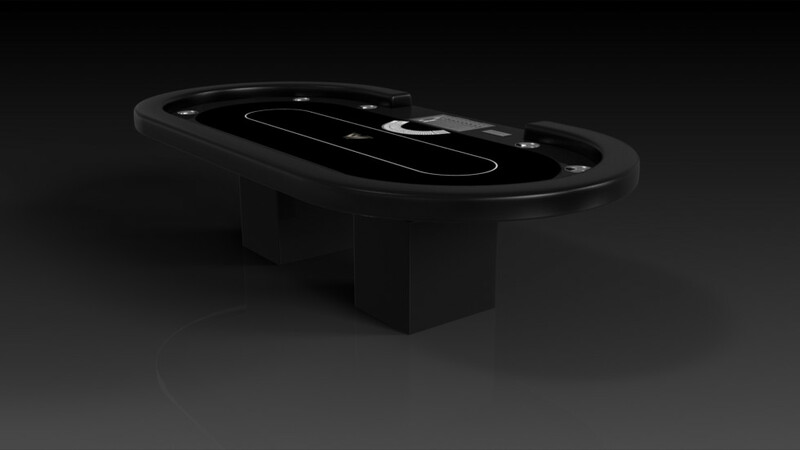 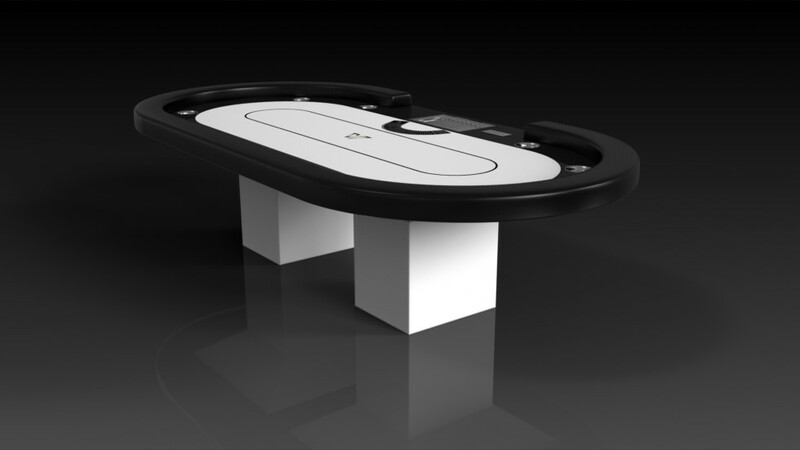 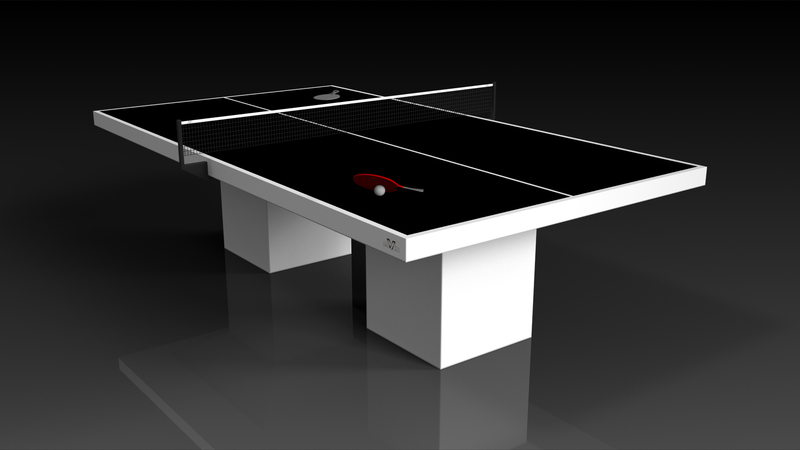 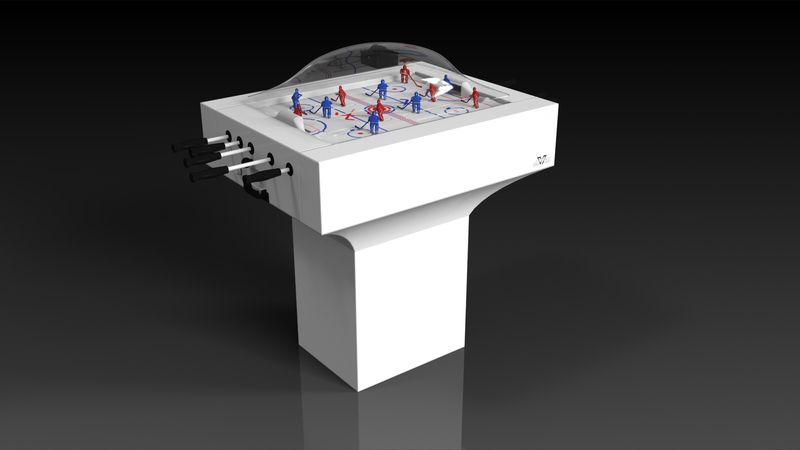 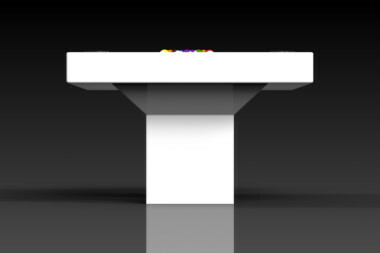 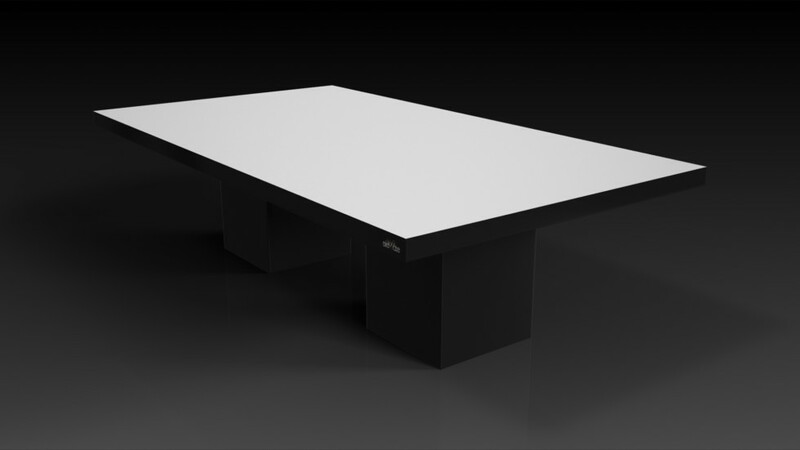 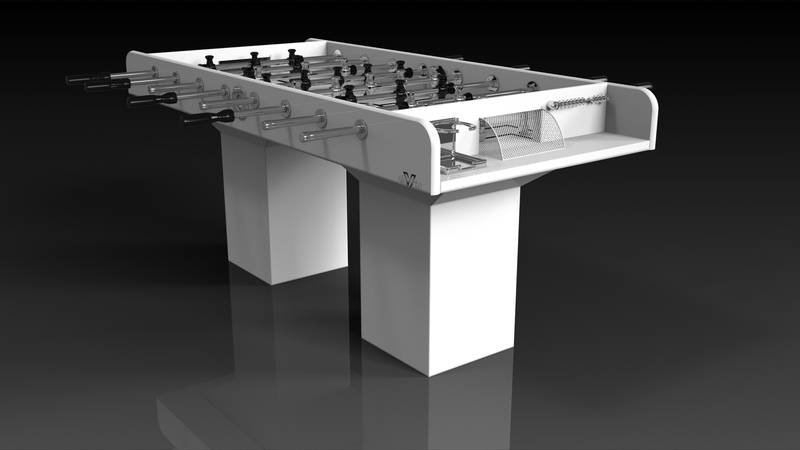 For added functionality, we offer a single conversion top for dining, a single conversion top for table tennis, and a double conversion top for triple duty as a pool table, dining table, and table tennis table in one. 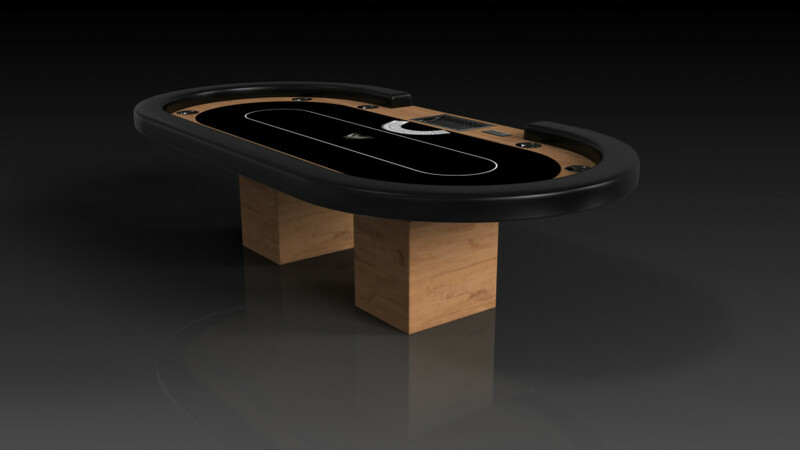 Upon request, we also offer the option to add drawers for holding billiard balls and cues.